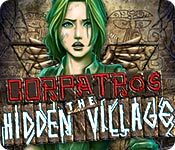 Corpatros: The Hidden Village is rated 1.7 out of 5 by 50. Rated 4 out of 5 by sportygal2009 from Excellent Game Until the End - What??? 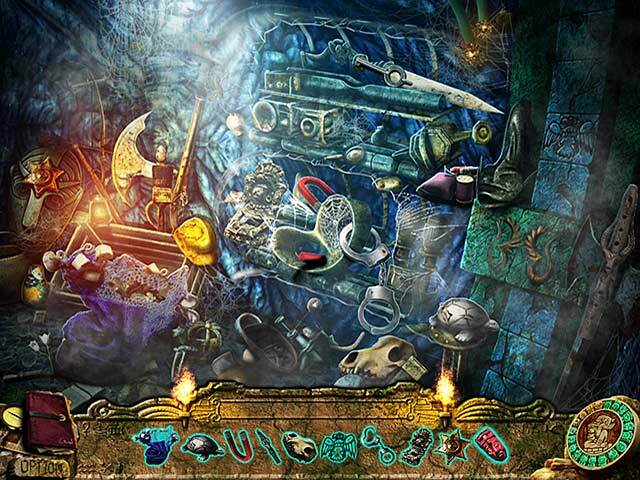 LOL Review Of Completed Game HOPA (Hidden Object Puzzle Adventure) definitely more on the "adventure" side. Story: You take on the role of Alice whose father, Frank Winters an archaeologist who discovered the Corpatros: The Hidden Village mysteriously disappeared and never returned home. On the 20th year anniversary of his disappearance she receives a mysterious letter so decides to try to find out the truth. There is voice over. WIDESCREEN: I had no problems here filled the 20 inch monitor just fine. Didn't have to do any adjustment. Running on PC Windows 7 64 Bit. No tech issues. 3D EFFECT: There is an option for 3D but that makes the screen move up/down. That was too weird for me. I had to cut that off and pull the plug on that within just a couple of minutes. PLAY MODES: There are 2 Casual and Expert. No sparkles but there are some black bar tips. ADVENTURE: While there are some black bar tips there are some objects in the scenes that you will need that aren't obvious as you only come across them by randomly "clicking" on the screen. I found this to be a lot of traveling back/forth. HOS: There are no word list. A picture of the object is put down below with a "blue outline" to them.. Some of them are interactive but not obvious and I found very tricky because the cursor doesn't change when going over a hot spot, you have to find those by yourself by clicking around. For me these were pretty well done for the most part but some I did find to be on the Stanford & Son junkyard pile side. I did have to use a couple of hints here. HINT: Is only available for the HOS. Not too bad on charge up. Less than a minute. This is NOT helpful at all outside of HOS as it will only direct you to the map so pay attention to the map. INVENTORY: There are a few objects that you have to combine to be able to use them. It will tell you for the first one you come across that needs combining but then after that you have to figure it out at least that's the way it went for me. JOURNAL: There is a journal and holds notes and the map. MAP: This is NOT transporter but shows where you are, if there is an item to find, game (puzzle), HOS, pop-up if there is something to read. The locations are marked (named) on the map. PUZZLES: The usual run of the mill: Rotate rings, swap pieces to form a picture. slider puzzle, keep clicking until you get the board to light up, etc. The directions to the puzzles is down at the bottom of the screen. Skip is available in 5 minutes. GAME LENGTH: This was 6 1/2 hours for me. May be more or less for you. OVERALL IMPRESSION: Wow! I must be playing a different game. I'm definitely going to rest my fish fins on the minority side of the Big Fish pond. The graphics were really good for me. I had no problem with them. I also liked the long intro into the game and the voice overs along with the cut scenes. Very well done here. What I really enjoyed about this game was the game play having to figure out on my own. Oh and I'll admit at times it wasn't easy as I had to really think and retrace my steps cause as I mentioned some objects that you will need aren't always obvious and then sometimes having to combine objects to use them. I wore out my sneakers on this game traveling back/forth. Overall 4 stars from me. I knocked this down a star as I was really enjoying this and the story till I got to the end. I'm sorry to report but this "story" ending leaves much to be desired. This is by far one of the worst endings I've ever come across in a game. "Bumble, Bumble?" Are you kidding me?? OMG AND LOL! Thanks Big Fish and developer. I really enjoyed this game overall but this developer definitely needs to work on their "story telling" a bit more. As I said the ending leaves much to be desired. As for my "recommending" if you are one who really doesn't follow story and just in for game play then I definitely recommend this but story as I said the ending leaves much to desired in my opinion. As always, give it a whirl and decide for yourself. Rated 3 out of 5 by auggie1224 from Really Strange Game! This is the craziest game, but I did make it to the end of the trial (for me that was in one of the tents in the campsite across the river. I would never have made it that far without reading the posting for the game. I think the reason I kept going with the game was the fact that was really difficult and I like a challenge. Some of the difficulty comes from a lack of direction. The map is worthless, tells you absolutely nothing and helps in no way what so ever, also there is no mention that you can put two objects together in your inventory. The words for items are odd and even some words spelled incorrectly.. I cannot recommend the game due to its "incomplete" nature. Rated 3 out of 5 by funnycandy from The voice of minority Don’t be deluded by the pool of negate reviews and comments. The game itself has very intricate and complex logic. So I guess that’s why it is not understood by everyone. The story is very original and captivating. Have patience to really get into the game! Rated 3 out of 5 by Moon38 from Corpatros: The Hidden Village It's such a shame that what could be perfectly good games are ruined time and again simply by the lack of a walkthrough. This game isnt especially gamer friendly. The hint is absolutely useless. It just gives you your map which only tells you that there's something to do in a given location but doesnt tell you what that something might be. Im going to try and finish it but I wont be buying anymore of this series if it turns out to be one. Not unless they make the necessary improvements to it. Rated 3 out of 5 by rosekaufmann from SOMETIMES IMPOSSIBLE I felt a little wobbly - tried the 3D only, so don't know if that accounts for it or not. Unlike others, the graphics were fine on my computer. The hint system was questionable. It seemed to work in the HOS, but still there were times when the timer increased or decreased with no discernible reason for it. If stuck outside the HOS, I got a hint saying to combine something, but other times I got nothing when I really could have used an actual hint of where to get something, for example, the oars for the boat, or how to conquer something, for example, the 2 headed snake. I like a challenge but not an impossibility. I'll say recommended but you have to try yourself. 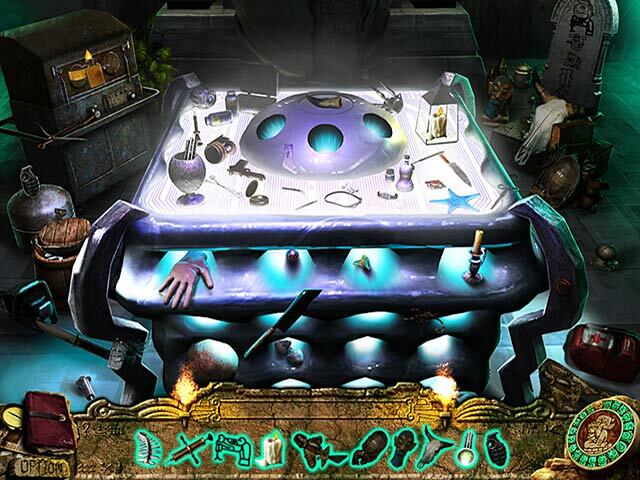 Rated 3 out of 5 by CoastalBaby from A very different kind of game Well this was certainly a different kind of hidden object/adventure game. You must try to see if your father is still alive after disappearing 20 years ago....familiar plot different game. you travel to the jungle after you receive a letter you are off..... The game is part 3-D that moves & gave me a carsick headache & nausea. There is a map & doesn't show much until you finish that section with the right tools to move forward. I didn't like the music which was mostly repetitive drums. 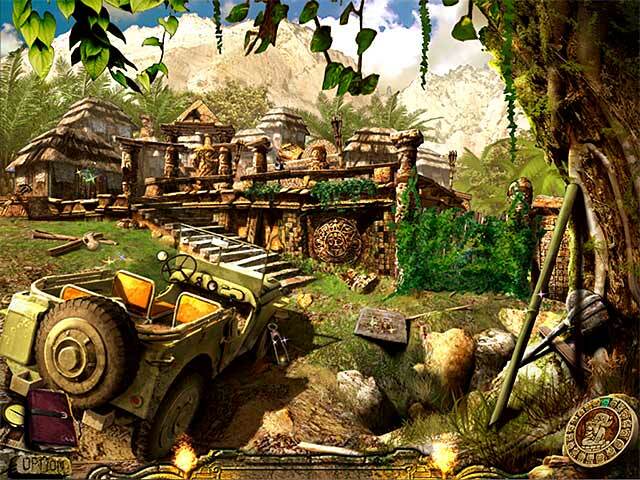 The graphics were good, but the hidden objects were pictures & some were too unclear as to what they were. There are things to find, but the challenge was where to look. This was based on the one hour demo I didn't want to finish because of the effects of the 3-D parts. It is probably just me & someone else may be thrilled with the new &different concepts. Judge for yourselves. Rated 2 out of 5 by bassetfred from Decidedly below par. Well, i can't say i really liked this game. The 3D option was great - that is, 10 years ago it woud have been great. Today, it is just simply pathetic. The storyline is weak. After the intro there's really no explanation whatsoever. For instance, you find a newspaper. It tells you it contains news but doesn't tell you anything else! I played the demo and it wasn't convincing. For instance, you're supposed to get to a "village" but it looks like 5 or 6 developers each independently drew their favourite jungle scenes and then all linked them together. No continuity at all. One moment you're deep in the forest next to a river, next scene on a high cliff, next in a jungle again...The very first puzzle i found, too, was totally unlogical. All in all my verdict is: No Quality. Not wotrh the buy. Rated 2 out of 5 by jaramilo from Good Idea - Poorly Executed The storyline has great potential BUT ... The spelling is horrible. The graphics are horrible. The voice acting is horrible. The soundtrack is horrible. The hint system is horrible. The game interface is worse than horrible. It is dark, fuzzy, difficult to see and the areas where one is supposed to pick up or interact are poorly programmed so that it takes several clicks to complete an action. The HOGs are all pictorial, which would not be bad if the objects were not so horribly drawn. Travel to the mysterious village of Corpatros and investigate your father's disappearance!